Home > USMC MV-22 Osprey Demo! 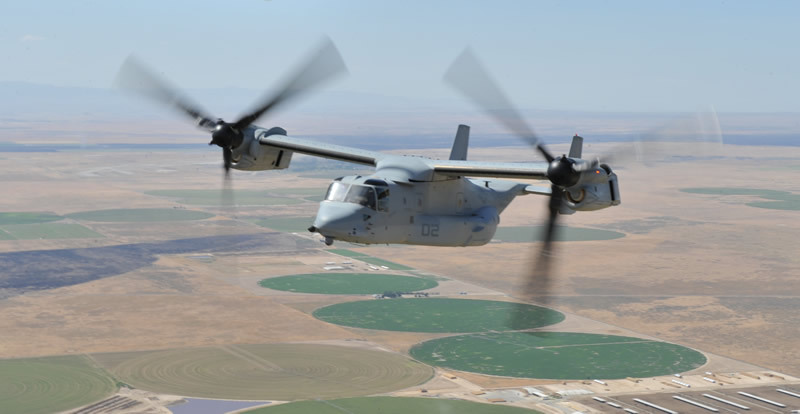 “Wow!” The United States Marine Corps JUST authorized a MV-22 Osprey Flight Demo, plus ground display aircraft for the 2018 Thunder of Niagara International Air Show! 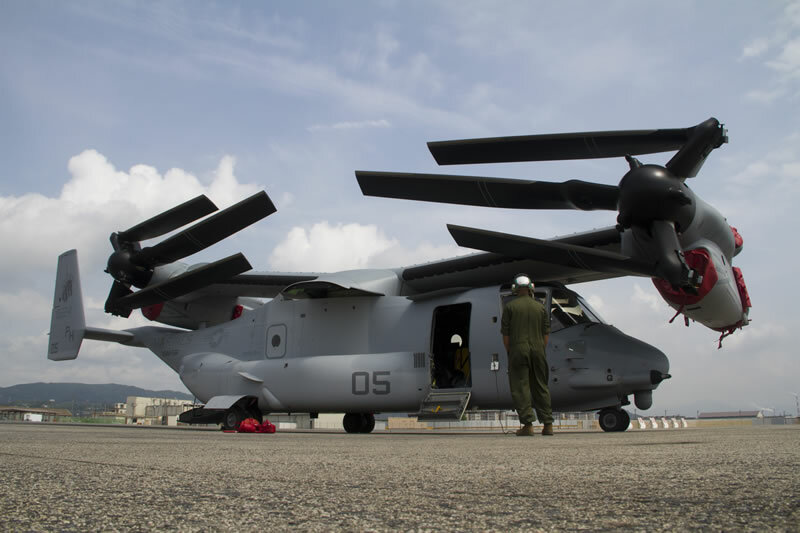 This jaw-dropping aircraft comes to us from VMM-261 / Marine Medium Tiltrotor Squadron 261 known as “The Raging Bulls.” The Squadron is based out of Marine Corp Air Station New River in North Carolina. 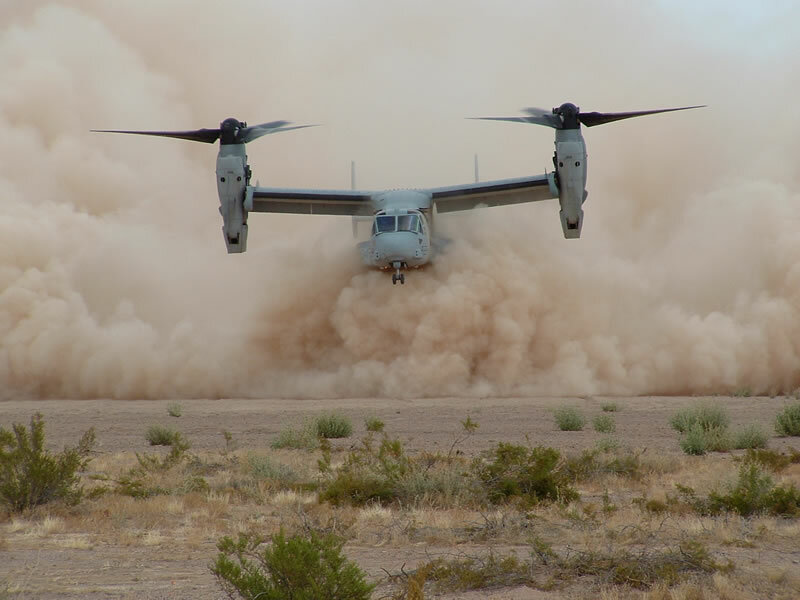 As a result, you will not only be able to see a one-of-a-kind tiltrotor demo, but also get up close to the aircraft and meet the air crew! This Marine Corp demonstration is often sought after and rarely seen on the air show circuit. Please don’t miss your chance to see this unbelievable machine fly! 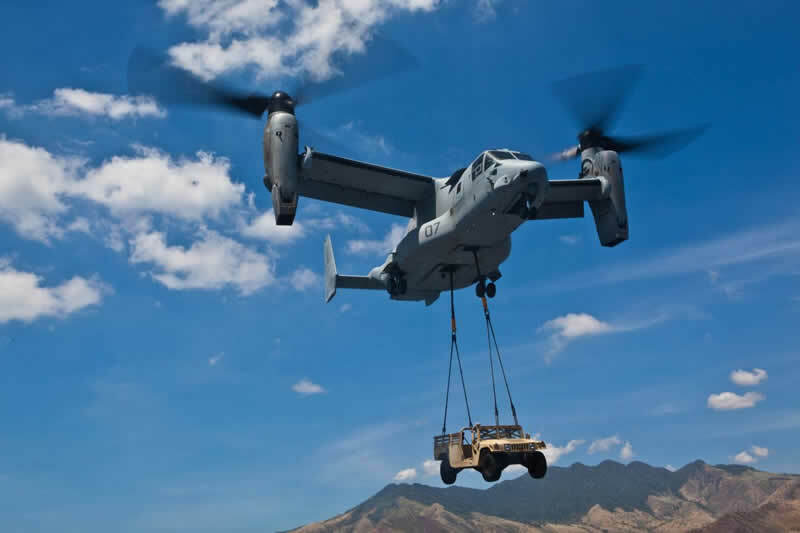 The Osprey is extraordinary! It can hover and takeoff like a helicopter and then “tilt” it’s configuration to fly like an aircraft. This allows the aircraft and it’s crew a wide range of mission capabilities in all weather conditions. Hurry & SAVE 30% OFF VIP Tickets! Please make sure you enter your PROMO code (from your email), apply the discount, and verify your discount, before checking out! Please note: Aircraft and performers are subject to change without notice. If something does change, we’ll do our best to let you know.